Sarah Tongue was born in Brentwood, Essex. 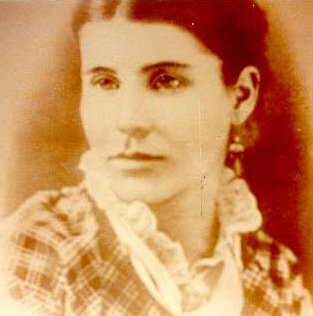 We think her family emigrated to the USA between her birth in October 1853 and her brother's birth in the USA in June 1854. Her husband Thomas Dumville/Dunville (1843-1925) was born in Ellingstring, Yorkshire. We think he emigrated to the USA in about 1869. Sarah Tongue and Thomas Dumville married in about 1871 and after their marriage they used the spelling Dunville. They lived in St. Louis, Missouri and had nine children. a great-great-granddaughter of Sarah and Thomas Dunville.